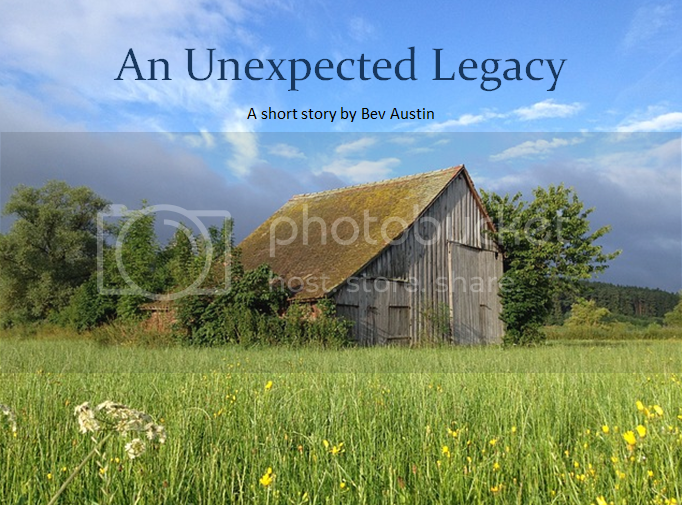 A short story by Bev Austin. “In the event of my death, I leave to my grandson Ethan, the house and all the contents in it. To my grandson Adam, I leave a legacy, the barn and all of its contents..."
The reading of the will had been short and uncomplicated with nothing to contend. The deceased, Mr Avery was an unassuming man of modest means who lived alone after being widowed many years prior. Ethan, the eldest grandson seemed pleased with his inheritance of the house which was in good order and fully furnished. There was nothing in particular of value as far as he could see but at least he had fared better than his brother who had inherited the dilapidated barn at the back of the house. Adam, the youngest grandson had travelled many miles from the big city to hear the reading of the will and being back at the old house brought back a flood of memories. Though he had only visited the house on three occasions as a child, he remembered it vividly as if it were yesterday. His grandfather was not a man of many words but when he spoke Adam listened. It was he who taught Adam the importance of seeing the value of things especially when they looked at their worse. Over the years, Adam had learned to appreciate the things others considered worthless. He smiled to himself as he thought about his inheritance, the old barn in its current rickety neglected state. Was grandfather still trying to teach him a lesson here? And what of this legacy mentioned in the will? Adam could not make head nor tail of what that legacy might be. It seemed only right that he should inspect his inheritance before heading back home. As he approached the severely weathered barn he felt intrigued by what he might find. Before grandfather passed away, no one was permitted to enter the barn. Grandfather called it a place of solitude and sanctuary, where he would spend many hours. It was his escape from the madness of the world. Once unlocked, Adam entered the barn removing thick cobwebs as he proceeded. In the dim light he could see tools of all shapes and sizes hanging neatly on the wall. Adam smiled again, remembering the sounds of banging and tapping coming from the barn all those years ago when his visited with his father. In the far corner he could make out something large under a heavy canvas covering. As a specialist antique dealer and restorer, Adam was always drawn to things that were covered and hidden from sight. His heart raced in anticipation as he got closer. As Adam rolled back the heavy cloth his eyes widened and his heart quickened even faster than before. He could never have imagined that something so rare and exquisite would be sitting in his grandfather's barn longer than he'd been alive. Whatever it was, he instinctively knew it was so much more than just an ordinary motor vehicle. Though this was not his area of expertise Adam knew a real gem when he saw one, perhaps this was another trait inherited from his grandfather. In the coming weeks, Adam turned detective and managed to piece together the remarkable story behind the great discovery in the barn. For the past forty plus years his grandfather had diligently worked on restoring a fire damaged car. But this was no ordinary car, it was rare. In fact this car was so rare that there were only 29 ever made. Known as the Mercedes-Benz 540K Spezial Roadster, this handcrafted art deco sculptural automobile had won the hearts and imagination of car enthusiasts across the world and stood for everything that was glamourous and desirable. Incredibly, Adam had also found a newspaper clipping with a picture of the actual car he now owned which amazingly happened to be the very first of the 29 cars ever produced, making it an extremely valuable and well sought after supercar. 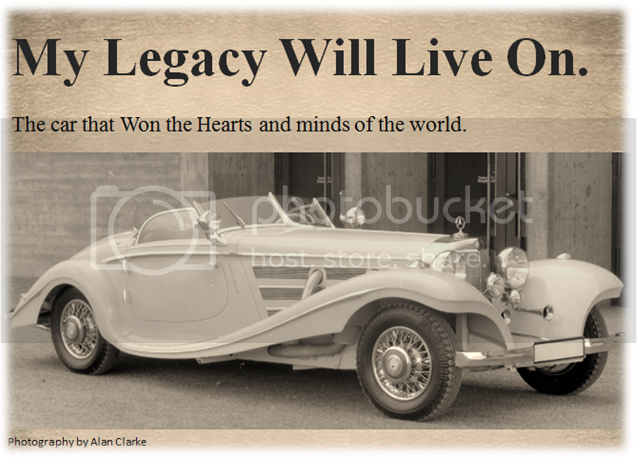 The newspaper article entitled 'My Legacy Will Live On' was said to be the words of the car designer when he saw his vision become a reality for the first time. That framed article now hangs proudly on the wall in Adam's office and beside it is a framed picture of the old barn as a reminder of his grandfather's lesson, 'see the value of things even when they look at their worst because you never know what treasures lie within'. 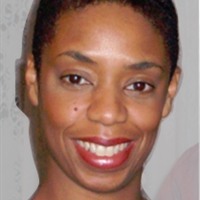 Hope you enjoyed my short story and the message within, things are often very different to how they appear on the outside. Take the time to discover hidden treasures in your life, and never be too quick to judge. The things that first appear as burdens may be your biggest blessings.